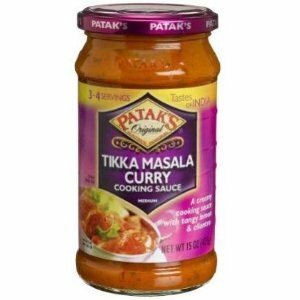 I recently started using Patak’s Tikka Masala Curry Cooking Sauce, and am very impressed. Not quite restaurant quality, but about as close as could possibly come from a jar bought at the supermarket. It comes in a “medium” heat level that I find to be pretty mild, but is very easy to doctor up with some fresh chilies or even some ground red pepper. 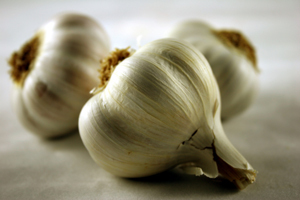 I also add a little garlic-either fresh or powdered if fresh is unavailable- and some salt and black pepper. A tablespoon of butter or margarine also helps even the sauce out. Add these ingredients to a pan of sauteed bits of chicken, and serve over rice. Can’t get much easier than that. Patak’s Tikka Masala Curry Cooking Sauce is available locally at The Fresh Market and at World Market in Malbis. Both set a price at $3.99 per 15 ounce jar. Patak’s Vindaloo, Tandoori marinade and other sauces are also available at each location. We knew from our beer storage experiment that buying and keeping beer cold helps preserve it’s fresh taste, but we were also curious to see if so-called temperature abuse can produce off-flavors. To find out, we purchased a case of chilled beer (in case to avoid any issue of light exposure) and divided the contents into two groups. Half of the cans went into the refrigerator as a control, while we subjected the others to significant temperature fluctuations: three hours in an 85-degree water bath, followed by an overnight chill. After repeating the “shock” process three times, we tasted both batches of beer side by side. As it turned out, no one noticed a skunk flavor in either sample. We also spoke with David Grinnel, vice president of brewing quality at Boston Beer Company [Samuel Adams], who confirmed that skunked beer flavors and aromas are the result of light exposure, not temperature fluctuations. So buy your beer in cans or dark bottles and don’t be afraid to buy it chilled, even if you won’t be able to keep it cold once you get home. So there you have it. A widely-accepted misconception put to rest, so drink up, and cheers, prost, salud, slainte, l’chaim and na zdrowie! Has beer ever looked hotter?